Past Deal: Huge Air Canada International Sale! Fly from The US/Canada to Europe (from $150s) Asia (from $300s), South America ($200s), and more from Nov.-March! Air Canada Huge International Sale Final Update: Tickets bought during this sale/glitch will be honored! Congrats to all members who got in on it. If you didn't get it in time, make sure when another DealRay alert comes in that you're ready to book right away, as most airlines have a 24 hour free cancellation policy! UPDATE 2: This turns out to be a huge sale to many more cities - check any international destination like London, Paris, Tel Aviv, Shanghai, Hong Kong, etc. from your city! Book your tickets ASAP, as there should be a 24 hour cancellation policy. 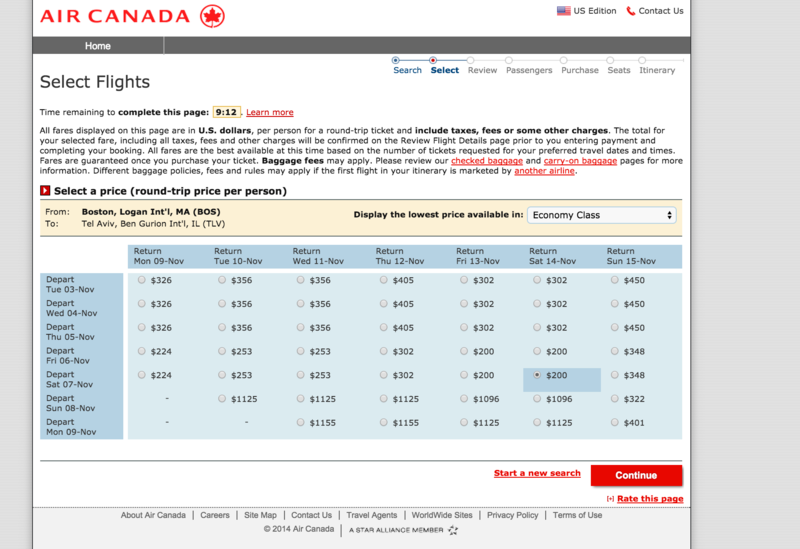 This seems like an actual sale vs. a mistake, there's even a landing page for the sale from AC: http://www.aircanada.com/us/en/offers/air/internat... Pick your city and see how low the fares can go! UPDATE: East Coast Cities like NYC, Washington, Baltimore and others are also cheap! Check your city. 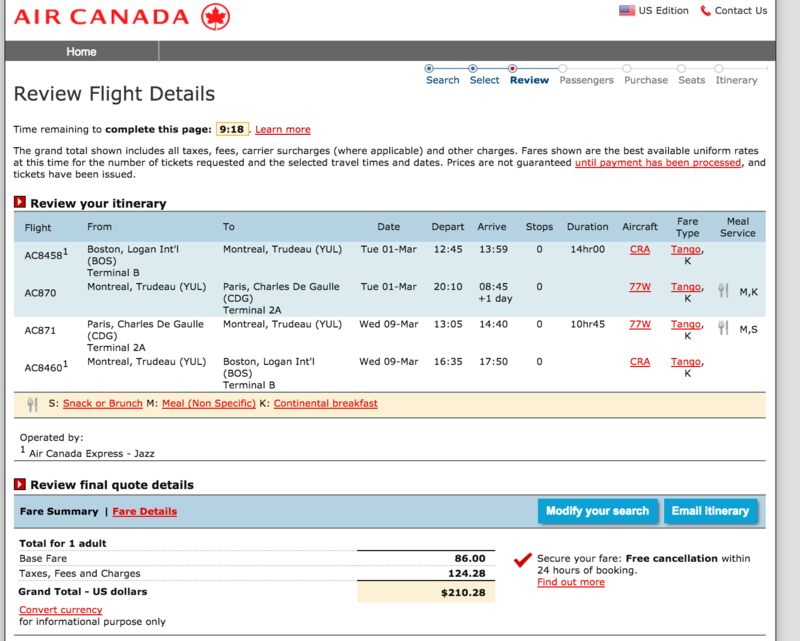 Grab a round-trip flight from Boston BOS to Paris CDG on Air Canada from just $211! Even Thanksgiving is included (leave any day the week of Monday Nov. 22 and return Monday Nov. 30 or after). Check the box to see a flexible date grid dates +/- 3 from your input. Dates are available between November and March for this price, with connections in Montreal YUL or Toronto YYZ. 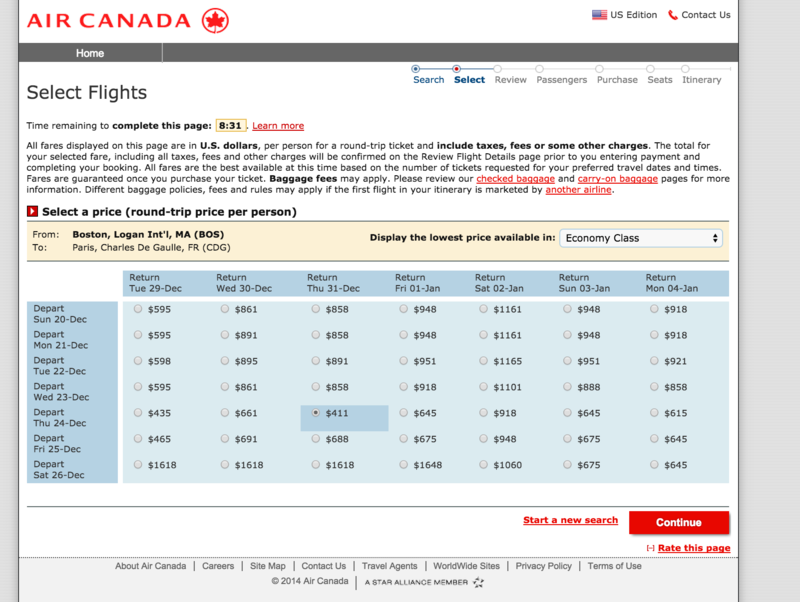 Of course, for our Canadian friends in either city, direct flights are similarly cheap.  Even a Christmastime trip 12/24-12/31 is only $435 from Boston, still an incredible price for this route. For NYC, a Thanksgiving week trip can be had for just $311.